Fish, fish and more fish dinners this year! 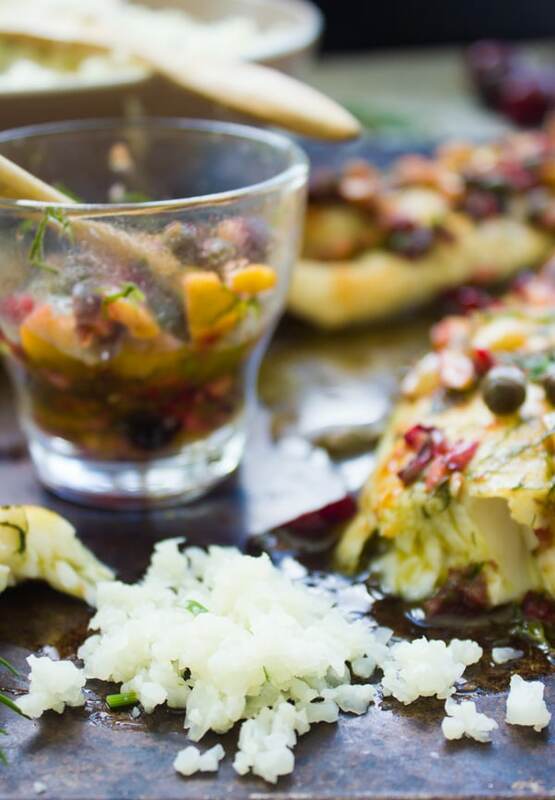 Say hello to succulent tasty Baked Fish with Dill Cherry Salsa and Lemon Cauliflower Rice Recipe. Light, healthy, super delicious and quick. 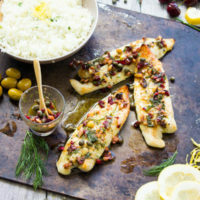 If you’re bored of everyday baked fish dinners, here’s a recipe that’s anything but boring—it’s a burst of flavors and textures. And the lemon cauliflower rice makes it a complete meal, a really delicious and good for you meal! Before we get to the yumminess and food, there’s such an amazing quote I read at my daughter’s school when I dropped her off today. There’s a huge board at the school front yard which is where they post important events. Like if there’s a Holiday, sport event, donation event, etc.. and at days when there are no events going on, they usually have a quote or some encouraging words for kids to respect each other, be kind etc. I think it’s again because how it took me a while to disconnect from the over privileged life I had growing up—-and I’ve ranted about this so many times before so I won’t go there in details. So when my closest friend tells me that life shapes people, well in my case life was extremely proper, ruled by etiquette and protocols. And no matter which country we lived in, we were surrounded by people in the same filed and status. So life teachings never changed, until one day, I left that privileged life and went on my own. I still don’t know if I wished that day came sooner, later or never came at all lol LIFE ! 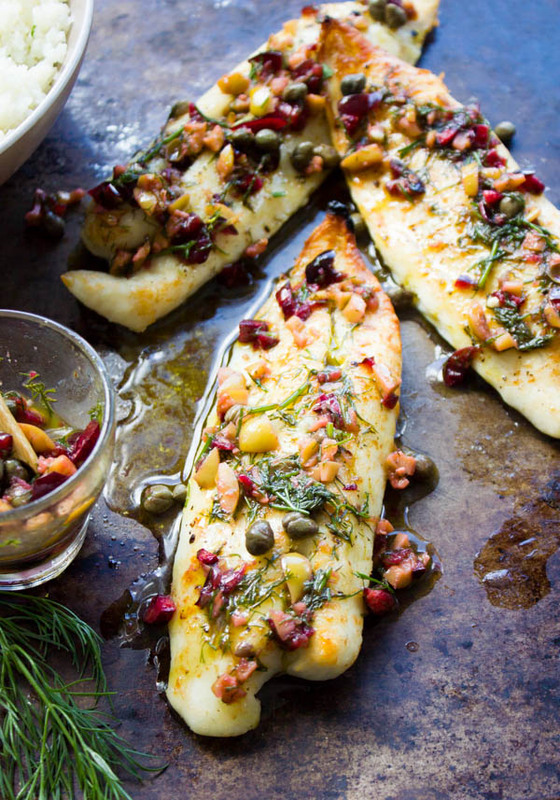 Ok is it time for some delicious baked fish now? You know how I always urge everyone in my cooking classes to cook fish with confidence, well I’ll say it again and again. Fish is indeed one of the easiest and quickest dinners to make, so whatever you’ve been hearing other than that is indeed a myth. If you look up the seafood category of the recipe index on the blog—you’ll find plenty of easy, simple, quick, and ultra delicious fish recipes to get you inspired. Today’s baked fish is actually a great place to start. 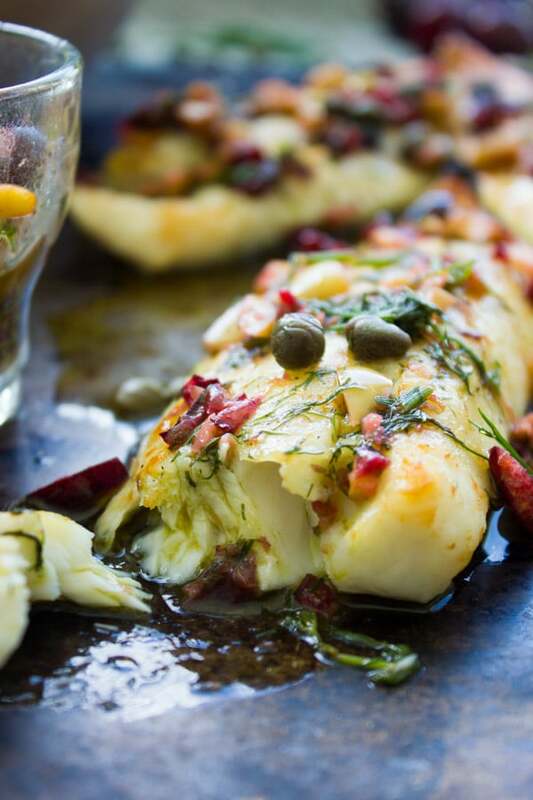 Baking fish is one of many ways to cook succulent seafood. I love to bake my fish at a high temperature for a short time, rather than a slow low bake. The high temperature bake does not get much flavor infused in to the fish, but that’s great because my salsa will boost up plenty of flavors. And the texture with high temperature baking is just perfectly cooked, not mushy. So that’s why it was my pick today. So the baked fish has nothing more than salt, pepper and olive oil. Then comes the dill cherry salsa. That salsa, you guys it’s the BEST. It’s sweet, it’s fresh, it’s zesty and just the perfect topping for your baked/grilled anything! This salsa would be just as amazing with some crunchy bread or chips. Here’s what every bite tastes like—sweet cherries, salty capers and green olives, fresh bright dill and parsley, zesty lemon juice, sweet honey and olive oil. Seriously GOOD stuff. It’s great o make the salsa ahead of time (and make plenty of it!) to store in the fridge, it keeps for 2 weeks! Finally, I love serving a nice fresh, succulent, crazy delicious baked fish like that with some lemon cauliflower rice. I’ve made a Lemon Cauliflower Rice Salad with Yogurt Dressing for a potluck last summer and it was the HIT of the potluck. So I urge you to make it, and check it out to get the full recipe on the lemon cauliflower rice too. 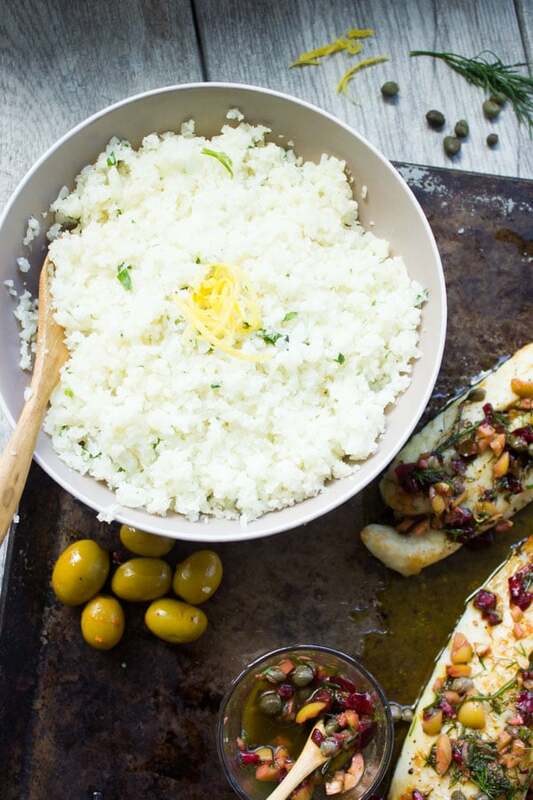 If you’re new to cauliflower rice, then be warned—your life’s about to change! 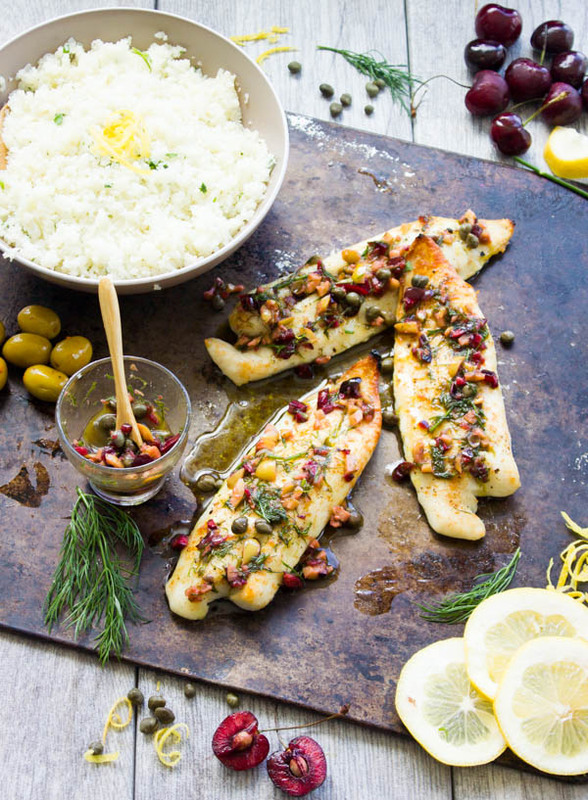 Now I’ll leave you with the recipes and goodies below, so whether it’s a resolution to eat healthy or not—this Baked Fish with Dill Cherry Salsa and Cauliflower Rice is PURE deliciousness on your plate. And that’s my everyday resolution 🙂 Enjoy! 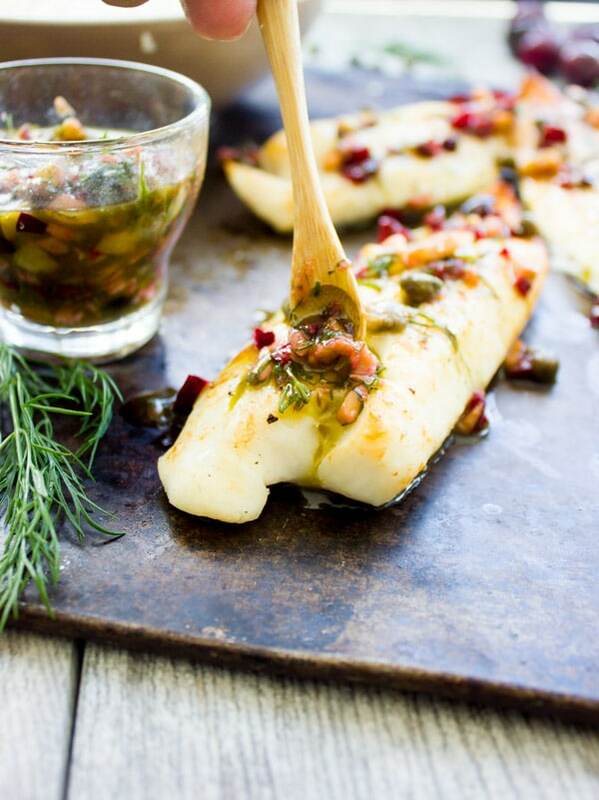 Place the tilapia loins on a parchment lined baking sheet and season with salt, pepper and olive oil. Toss the fish well and bake in the oven for 10-14 minutes until done (depending on the size of your fish). In the meantime, make the salsa. In a bowl, add all the ingredients together and mix well. Taste and adjust seasoning. To make the cauliflower rice, follow the recipe in this Lemon Cauliflower Rice Salad with Yogurt Dressing.